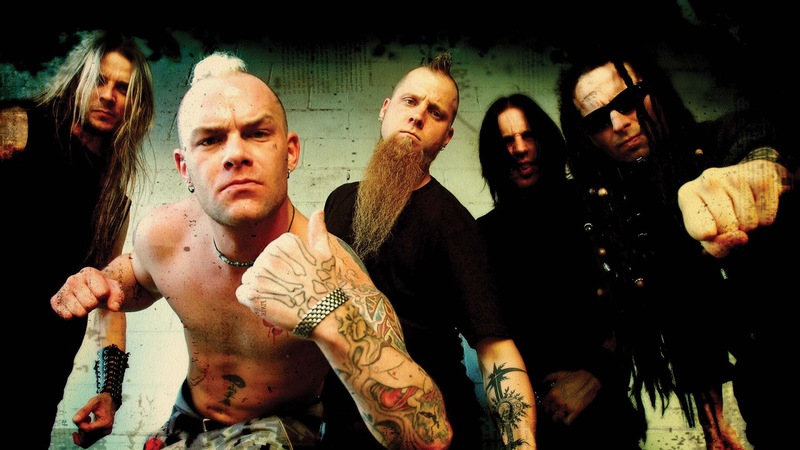 Five Finger Death Punch News: Ex-Five Finger Death Punch bassist Matt Snell about his former bandmates: "I love those guys"
Ex-Five Finger Death Punch bassist Matt Snell was recently interviewed by "Talk Toomey", you can read some excerpts below. About his time in Five Finger Death Punch, he said: "I mean, the greatest thing about that band is that it just happened so quickly. We were at it for like a year or so before it really happened, so what people saw on a professional level, it happened really fast. But in the big picture, everybody in that band worked a long time. We worked twenty years to become an overnight success. So it was a great ride, a lot of fun. And playing everything from… I mean, I remember picking Ivan Moody up for his audition at a gas station. All the way to playing Download festival and getting shut down for starting a riot in front of seventy thousand people. So that's how big the scope of that was. And I got to go around the world a bunch of times and play hundreds of shows and helped build and create what is today this huge and powerful band. So, nothing but good memories from me. I love those guys. I hope they're doing well… I don't have any bad blood with any of those guys. They made their decision, and I'm the result of that decision, so… And I'm far from the first one. But who cares, you know? They're my brothers, and I love them… I think people want there to be a problem. I think people want there to be some sort of drama there, and there isn't a place for it. I hate to burst everyone's bubble, but there just isn't a problem there, and there never was."